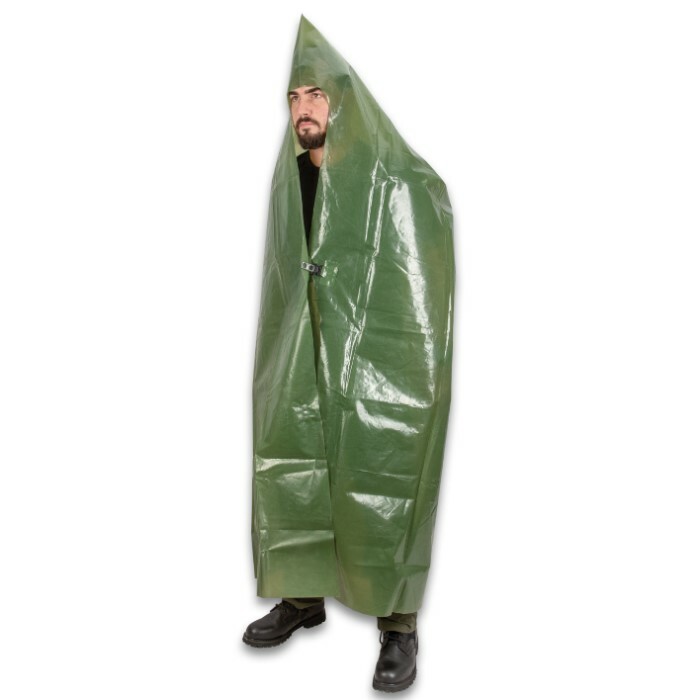 NVA Olive Drab Rain Cape With Hood - Like New Military Surplus, Rain Poncho, Waterproof PVC Construction, Plastic Fasteners | BUDK.com - Knives & Swords At The Lowest Prices! Stay dry and protected from the elements with this NVA Rain Cape With Hood. 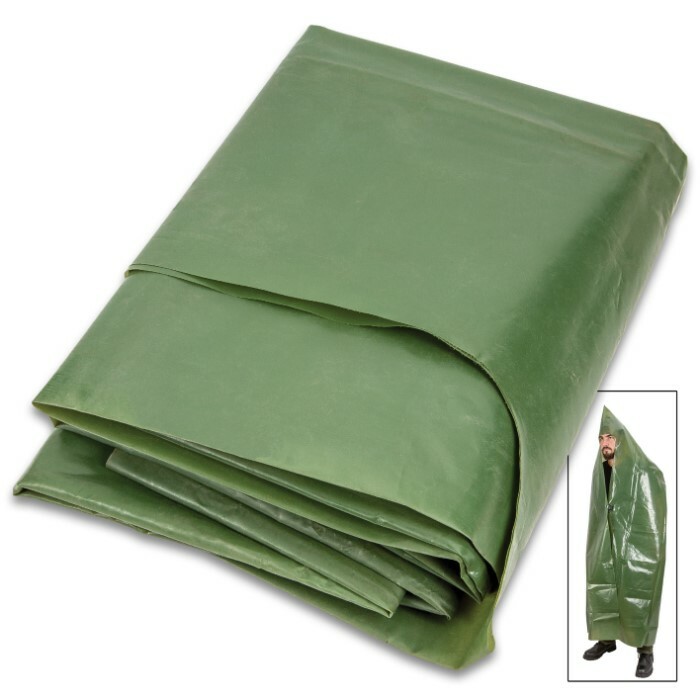 The authentic East German military surplus rain cape covers pretty much everything except your face, keeping you dry in rain, snow and sleet and protecting you from the wind. 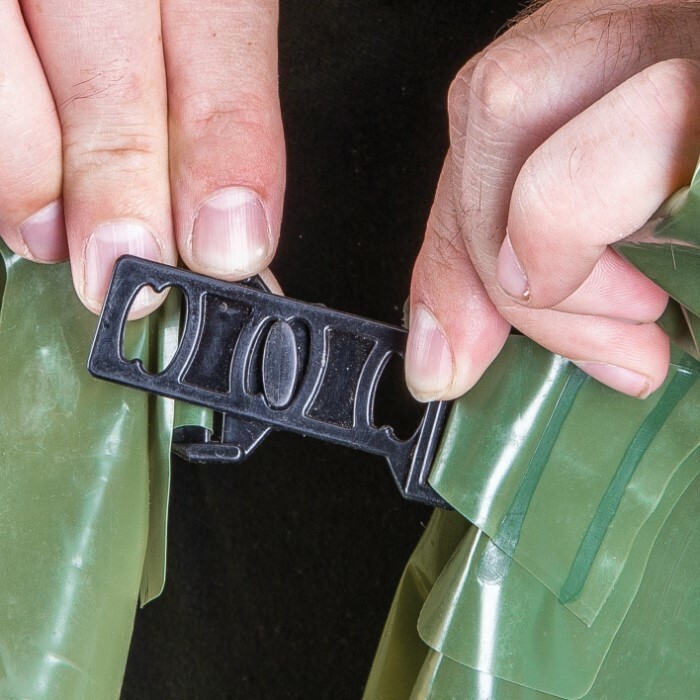 It is a classic olive drab and is made out of PVC with plastic fasteners to keep it securely on. Great for hunting, camping, sailing and much more, the cape’s dimensions are 78 7/10”x 59 1/10”. Buy a few of these rain capes and throw in the car!